Kara Swisher’s long-anticipated interview with Twitter CEO Jack Dorsey felt momentous, as though it was the Frost/Nixon interview of the tech world. In one corner stood the fiercest interviewer in technology journalism. Swisher is equal parts Walt Mossberg and Jeremy Paxman. In another corner stood the reclusive and controversial CEO of the most important social media property on the planet. At the insistence of Dorsey, the pair conducted the interview over Twitter. This, in retrospect, was a fatal mistake, as it rendered the conversation almost impossible to follow. You’d have more luck trying to understand a Jean-Luc Godard film. In French. Without the subtitles or anything. But still, it’s worth persevering through the myriad of threads. While there were few worthwhile revelations about how Twitter operates, the interview was interesting for several other reasons. This wasn’t much of a surprise. CEOs receive media training to ensure they stay on-message and don’t show their knickers to an interviewer. Speaking as a journalist, some interviewees are so infuriatingly opaque, you’re half-tempted to resort to extreme measures — like waterboarding. Get me drunk and I’ll tell you all the tech execs I’d like to go Camp X-Ray on. Trust me, there’s a long list. Still, Dorsey raised evasiveness to an artform. I’m just glad that Swisher didn’t ask him what he had for breakfast, because it would’ve probably gone something like this:. DORSEY: Breakfast, as we know, is a really important meal. The most important meal of the day, they say. When I was young, I loved Cheerios. It’s this appreciation for breakfast that I take with me as I go about my duties as CEO of Twitter dot com. SWISHER: Jack, I’m asking you a SPECIFIC question about what YOU ate for breakfast THIS morning. DORSEY: Well, at Twitter, we offer a variety of breakfasts to our hard-working colleagues, including fruit, cereal, waffles. There are halal, kosher, and vegan options. We care about our workers and want them to start the day on a full stomach. I wasn’t alone in noticing this. With #KaraJack trending, thousands got to see Dorsey’s triangulations. While it was entertaining to see Swisher gradually become more exasperated with Dorsey (more on that later), I was a little disappointed to see that very little of substance was revealed. There were no new insights or revelations. And it wasn’t for a lack of effort on Swisher’s part. It goes without saying that Swisher has a reputation for being a fearsome interviewer. It’s entirely deserved. Journalistically speaking, she’s a bit like hydrochloric acid, corroding away at arrogant tech execs until only the truth remains. Although the Twitter format didn’t really lend itself to her amazing interviewing abilities, she managed to press Jack for specifics, and ensured no evasions passed unnoticed. You can tell when this happens. Her vocabulary increasingly starts to feature words in ALL CAPS, much like a headline in the Daily Express. Her sentences get shorter. Dorsey isn’t exactly a sympathetic character, but after a bit, I almost felt sorry for him. It was like watching a Jedi beat up an ewok. It’s ironic that although it was Dorsey’s idea to conduct the interview on Twitter, the interview ultimately proved that Twitter isn’t suited to these kinds of long-form conversations between two participants. Following the exchange was a serious effort, and it was easy to lose track. Even Dorsey himself admitted that it was “definitely not easy to follow the conversation.” Legendary tech journalist Walt Mossberg was more damning, describing it as a “chaotic hellpit.” Ouch. For a conversation where scarcely anything was said, the interview was extremely telling. 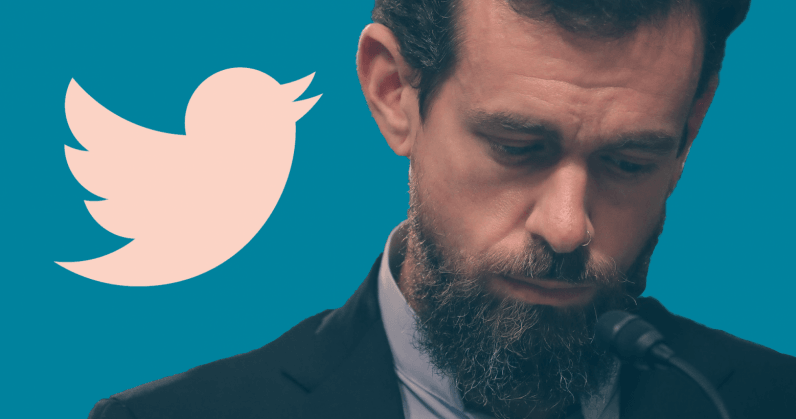 After having spent the previous three years mired in controversy, Dorsey clearly wants to infuse Twitter’s public image with an injection of transparency. The thing is, Jack, you’ve actually got to answer questions for that. If you can’t be bothered delving through Swisher’s timeline to see the exchange, you can read it in full on Recode.